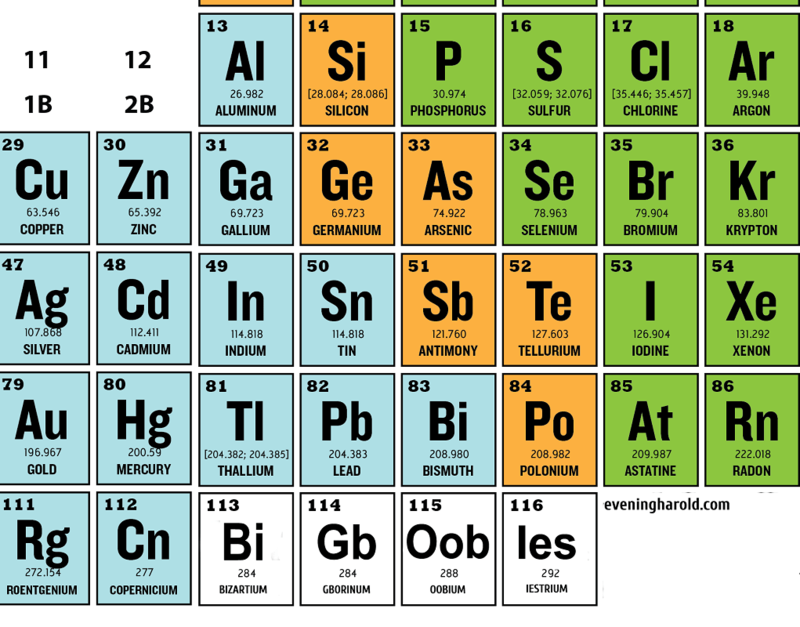 Although the new elements were discovered and named by separate teams in different countries, there is a theory that the various scientists involved might just have got together and chosen names that spelled out BIG BOOBIES deliberately. “Scientists can be very childish at times, especially under the pressure of the media spotlight, and it is possible that there has been a degree of collusion in the naming of the newly-discovered elements,” admitted Otto Planck at the University of Bremen. Professor Planck had no time for further comment, having to leave to deliver a lecture on an even newer element, which if his calculations are correct could be the heaviest, dullest and most readily available substance in the universe, and which he has tentatively named “Yourmomium”.